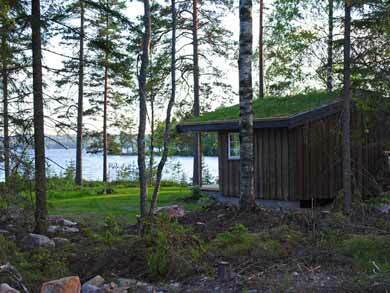 A family holiday in Sweden with a difference! The Klarälven runs the length of Värmland, from north to south. Its serpentine meanderings make it a major feature of the Värmland landscape. Its waters flow gently and the landscape ranges from steep valleys to flat, cultivated land. 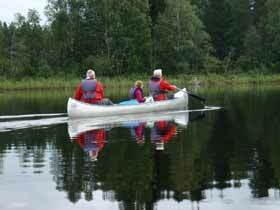 Canoe on Klarälven is a canoe tour suitable for adults seeking a relaxing, less challenging canoe experience and is also the ideal choice for a family holiday with children of all ages - a self-guided canoeing holiday where you paddle on your own, camping wild on the riverbank along the way. 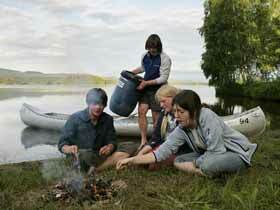 The Klar¨lven offers a great canoeing and camping experience for both adults and active families. Photo: Per Eriksson. The Klarälven is a wide, meandering river which flows at a stately 2km per hour - a wonderful way to experience the beautiful landscape of rural Sweden and watch the world go by! For participants with limited experience of the outdoors and with tour dates starting Sunday, it is possible to add an introductory course in the morning of your start day covering basic outdoor skills such as fire making and elements to consider when wild camping. 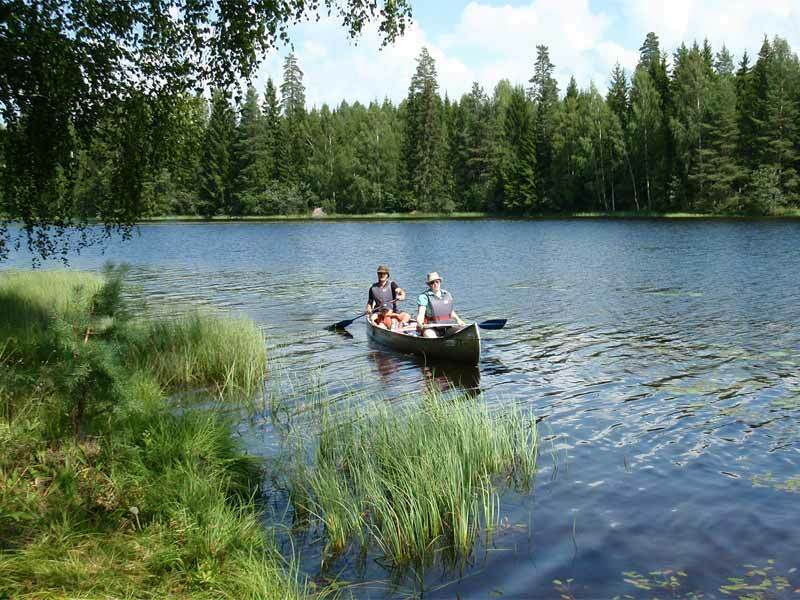 The Klarälven canoeing tour takes you through a lovely rural area of forests, small villages and farmland, giving you the opportunity to stop for provisions and explore the small villages and surrounding woodlands along the route. The flora and fauna of Värmland is a cross-section of Swedish species, where the north and south of Sweden meet along the plant geographic boundary of Norrland, which is also the northern limit of the oak. Camp wild along the route on the banks of the river, choosing your own spot each night. Photo: VV. Northern Värmland and the Norwegian borderland offers wonderful possibilities for canoeing and is ideal for lovers of nature and wildlife - you have good chances to spot beaver when canoeing on the Klarälven. 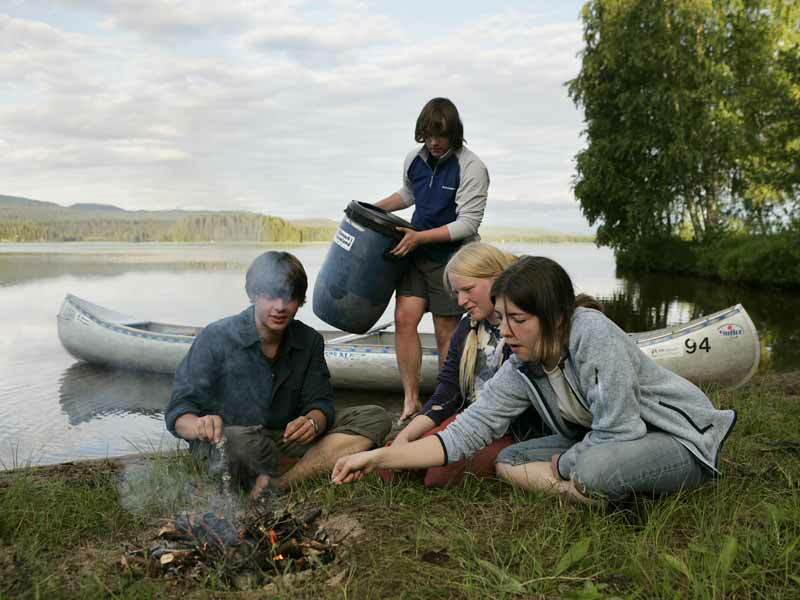 Whether you are a couple seeking a peaceful few days together on the water, an active family introducing your children to the thrill of the outdoors and wild camping, or an adult group looking for a relaxing paddle adventure, Canoe on Klarälven may well be the ideal option! Extra person uses sit-on-top kayak as alternative to canoe. The majority of packing for this extra person will then be carried in one of the canoes. Meet at the canoe centre in Gunnerud. You will receive your equipment and the information about paddling technique and your route. You can also buy a fishing licence for the tour if you wish. You will then load your canoe equipment onto the minibus for transfer upstream to the start point for your canoe tour. Distance covered is approx. 50km for the 4-day tour and 100km for the 7-day tour. Low season: Depending on start date, start time is either at 07.30 or by arrangement between 12.00 and 17.00. See "Dates and Prices" for details. You journey down the wide, meandering river Klaräven, stopping as the mood takes you at small villages and places of interest along the way (suggestions will be included in your route description documentation). You may even wish to plan a half day or day to go hiking in the beautiful forests of the area. The time you spend on the water and the distance to cover each day to complete your voyage downstream is up to you. Each night you will camp wild on the riverbank at a suitable spot - if you wish, you will also pass occasional "proper" campsites, where you are welcome to spend the night if you wish (additional charge payable locally). You paddle downstream to finish your canoe tour at the canoe centre. Please return to the canoe centre by latest 14.00. The end time for your canoe tour is flexible and depends on the distance you have chosen to leave to cover on the final day. 23.06-22.08.19. Start days Sundays and Thursdays, check-in between 13.00 and 14.00 (last standard start day 22nd August). Special "shoulder season" start dates 6th, 10th, 11th, 13th, 17th, 18th and 20th June 2019: Check in latest 21.00 the day before your tour for transfer at 08.00 on your start day. 01.05-05.06.19 and 23.08-30.09.19 (latest end date 30th September). Start any day (except Sundays) by arrangement between 12.00 and 17.00 for a minimum of 4 adults. Smaller groups are also possible, charged at the full rate for 4 adults due to custom transfer logistics. Provisions package: See image below. You can choose to add a food package for up to 7 days. The food provided is that eaten by a typical Swedish family. At the start of the tour you will be given a provisions box with the food for the trip (if you have specific dietary requirements, please let us know so that arrangements can be made). The exact contents of the package may change depending on the season and availability. The food is purchased from small, local countryside shops. Typical contents include: bread, butter, cheese, juice, milk, yoghurt, muesli, coffee, tea, salami, jam, meatballs, fishballs, Swedish beef stew, ham, sausages, pork loin, mashed potatoes, onions, carrots, vegetables, beetroot, apples, biscuits, tomatoes, cucumber, rice, macaroni, asparagus soup, cauliflower soup, salt and pepper. NB: If choosing provisions, please note that for organisational reasons all persons travelling together must choose food packages (i.e. it is not possible to split packages or to purchase for only some members of a group). You are also welcome to bring your own provisions for your tour if you wish. 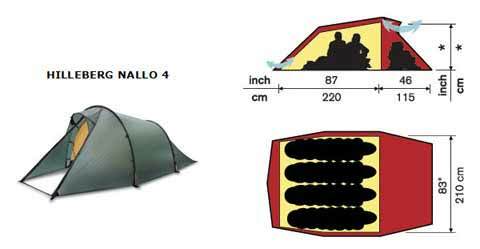 Considerations when camping overnight (tent, outdoor toiletry and the Swedish Right of Public Access). What to think about to stay warm, dry and well-fed during an outdoor tour. Using cooking equipment when camping. Canoe equipment: 2-person Canadian canoe, paddles, buoyancy aids, one waterproof pack barrel per canoe (approx. 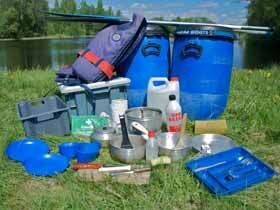 60 litres), water can (5 litres), canoe rope, topographical map, toilet spade, cleaning sponge and rubbish bags. Kitchen equipment contents: Hurricane stove* with fuel, cups, plates, cutlery, carving-knife, cutting board, spatula, cheese slicer, whip, butter knife, can/bottle opener, potato peeler, bowl, dish brush, washing-up liquid, kitchen roll, matches and storage box. Instructor: Services of experienced and knowledgeable instructor before your tour starts. Transfers: Transport by bus for participants and equipment from the meeting point to the start point of the tour (tour route returns to meeting point). Food: A provisions package is available as an optional extra. There are opportunities to shop in small stores along the way. Swimming ability required by adults. All participation at own risk. Minimum 2 adults*. You should be in good health and have a reasonable level of fitness and strength. The canoe tour is on calm flowing water. The Klarälven tour involves fairly light paddling with no lifting and you will be travelling downstream for the whole tour. You will be paddling downstream on a wide, slow-flowing river for the duration of the tour and in a rural area. The tour is based on wild camping but you there are also 1-2 "proper" campsites en-route where you can overnight if desired. No land transports are required. Canoe on Klarälven is ideal for groups. We reserve the right to assign groups to certain camp sites to minimise impact on the natural environment. 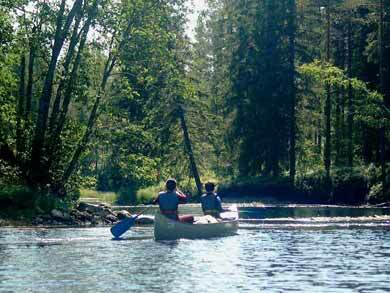 Canoeing or rafting the Klarälven gives you a very good chance of seeing beavers. But this has not always been the case. The beaver became extinct in Sweden in the late 19th century and was only reintroduced in 1922. Since then they have flourished in this area and Värmland now has an estimated population of several thousand. See our Wildlife Guide for more information on beavers in Sweden. Recommended by The Guardian as one of its "Top 10 Family Holidays in Europe". Read Jayne's trip report on the Nature Travels blog. 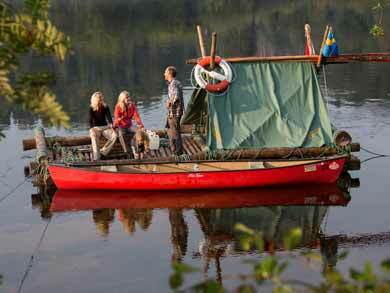 Timber Rafting on Klarälven follows the same route by timber raft! This tour makes a convenient combination with Timber Rafting Taster if you'd like to try some timber rafting during your trip.